CEREC is the latest in Digital Dentistry - Like a 3D Printer with exact precision and a superior crown all in one. Dr. Minter has not only used CEREC for more than 10 years - she's also a clinical instructor for her peers. CEREC is the new standard of care, and Dr. Minter makes it standard for her patients. We know our patients have busy schedules, so why take TWO appointments to get treatment when you can do it in ONE? 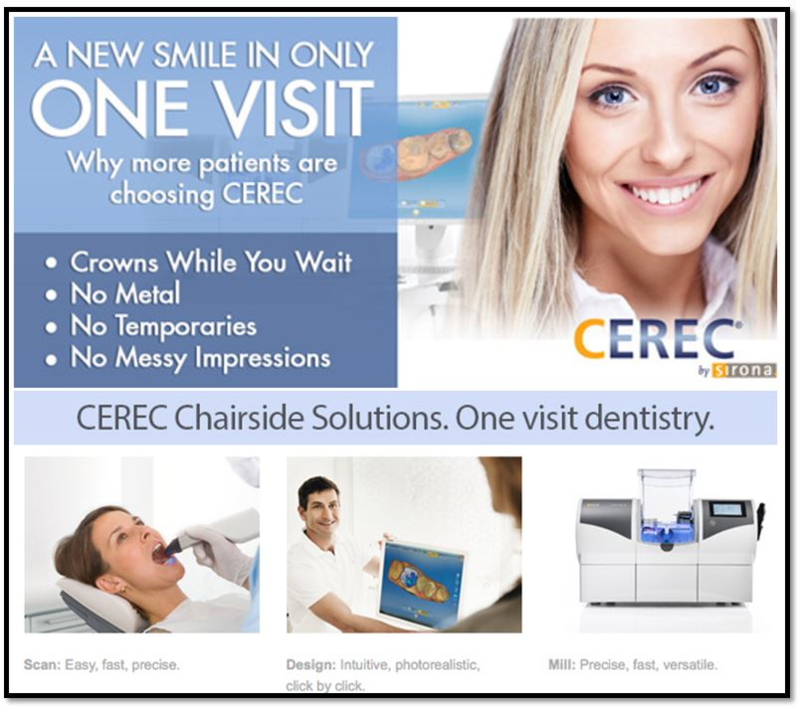 Ask about CEREC at your next visit. Watch this CEREC video to learn more.